This second series of video training will show you how to get organized. You'll learn how to manage and organize your images using folders, group them into collections and create smart collections, how to add keywords so you can sort and filter your photos, create smart previews so you can work offline, and much more. 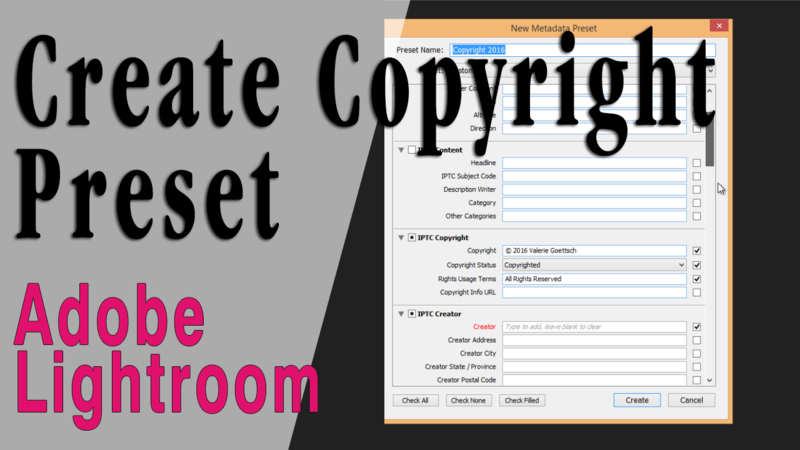 A copyright preset will instantly add your own copyright information to all your images, either as you import them or later on. 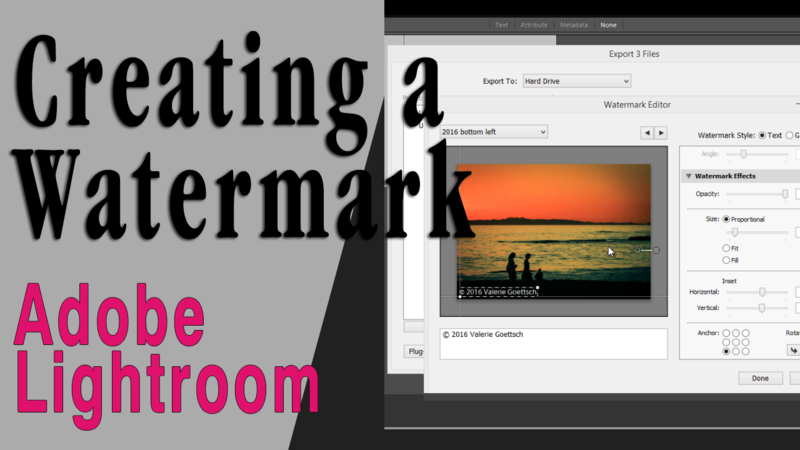 Learn how to create a watermark that you can add to your images when they are exported.